This is part 5 of my ‘Magento 2 Module From Scratch’ series. I’d recommend you catch up with the rest first. Today I’m covering the admin area section of our module. In here, we add links to the main menu, create our grid using the UI Components in Magento 2, create mass actions, and the ability to edit each post! I won’t be going into a huge amount of depth, but you’ll be able to follow along and understand how everything fits together. I attend on covering some of these areas later on as they can be entire blog posts in themselves! So this is dead simple. within the <menu> node we instruct magento to add two new items. First, is simply a heading, the next is our main item which will link to the blog posts grid! I wanted to nest the blog under it’s own section in case I decide to add Categories, tags or other common blog features in the future! id – A unique id to give to the menu item. Namespace it with your module name to avoid conflicts. title – The text you want displayed! parent – The ability to specify what node this belongs to, or where to nest the menu item. resource – This relates to our ACL. We’ll cover this next. Great, we have our menu items. Next, let’s define some ACL rules so that admins can give fine grain control over other admin users! The ACL may feel familiar to that of Magento 1.x. Because our blog belongs under the Magento_Backend::content in our menu, we need to embed our resources within there. Then using the same resource identifiers we used in our menu.xml we can define the access. That will handle displaying/hiding the links within the menu based on the users access rights. Finally, we have our save and delete resources. We’ll be making use of these in our controllers and block to change how the page looks for certain users. This follows the same format as our frontend router, with the exception of the router node’s id attribute being set to admin. 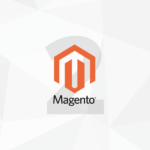 We also specify that our module is put before the Magento_Backend module. Now it’s time to create our first controller. We’ll start with making our grid! * Is the user allowed to view the blog post grid. Much like a standard controller actions, but instead of extending\Magento\Framework\App\Action\Action we now extend \Magento\Backend\App\Action. On top of this we have set a constant named ADMIN_RESOURCE this is what we defined in our ACL for whether or not a user is allowed access to this page. In here we simply register our UI Component! We’ve registered our component, so lets create it, again this is just another XML based configuration file. It’s fairly beefy, as this controls adding all the components that make up our grid view. Such as columns and mass actions! Our last column is an ‘actions’ column, allowing you to edit or delete from a little dropdown menu. In here we have used 3 custom classes. Now we have all our files required to make the grid page work, you should now be able to clear cache and access the grid page! Huzzah! Now that we can delete, enable and disable posts with Mass Actions, it’s probably about time we made the ability to edit and create new posts! For this we need 3 more controllers: new, edit, save, and delete! All we do here is simply forward the request onto the edit controller! Before rendering the page, we attempt to load a record, and also check if any form data was previously submitted. If it was, we’ll set the data on our model, then finally the model is added to the registry. Now that we have our controllers setup, let’s create our layout file, and blocks that will make up the page and display a form for us! Now we need to create our corresponding blocks! 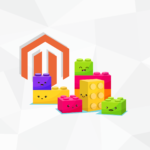 Clear cache, and you’ll now have a fully functional Magento 2 module! The final addition to the series will be adding unit tests to everything we have created. Check back soon!